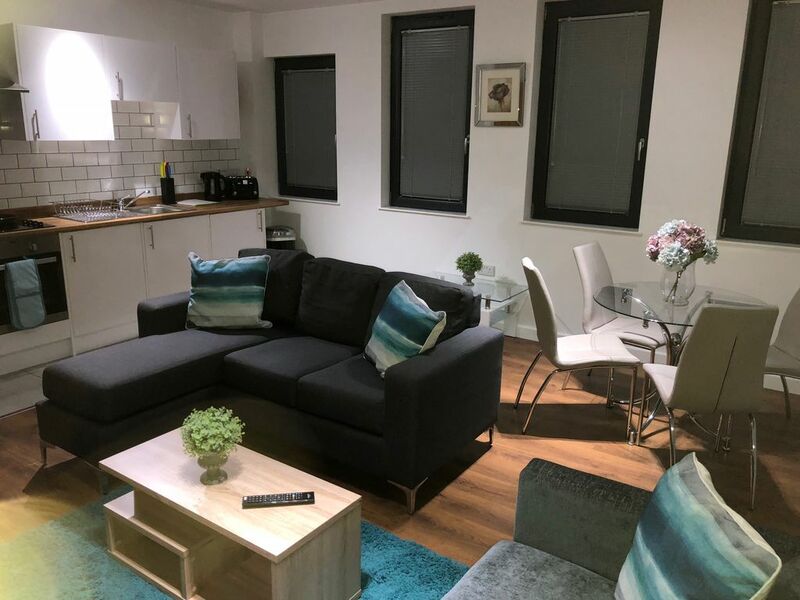 Our Peterborough Apartments are next to the City Centre with private parking, housekeeping services and 15 minutes walk from the main East Coast line station. They're great for business travellers, couples, solo adventurers, families (with children of any age) and the less able bodied. Our 1-3 bedroom apartments, and terraced penthouse overlooking Peterborough Cathedral, are part of a professionally managed, residential building recently converted to a high standard. Your apartment has bed linen, towels, TV, internet. The kitchens are fully equipped with washing machine and hair dryer oven, hob and microwave oven, plus crockery, cutlery and the usual cooking utensils. Lift access is to all floors except the penthouse suite. Access is by key fob to the common area, gate remote control for parking area and apartment door keys provided by the Housekeeper on check in when you will be invited to sign the Guest Register. Text or call the Housekeeper on the mobile/cell number provided with your arrival time. Access to the private car park is controlled with your gate remote control and walking by the key code 1607. Peterborough City Centre is a few minutes walk from the apartments and has a lovely, period feel with well-maintained old buildings, open pedestrian plaza and covered Queensgate shopping centre. The adjacent Cathedral is one of the finest Norman cathedrals in England. Founded as a monastic community in 654 AD, it became one of the most significant medieval abbeys in the country, the burial place of two queens and the scene of Civil War upheavals. Peterborough is on the main railway line to York and Edinburgh. Brick making on an industrial scale was a 20th century activity along with sugar beet and Perkins diesel engines.